A musical by Corey Payette. 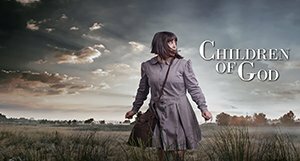 In this powerful musical, the children of an Oji-Cree family are sent to a residential school in Northern Ontario. This is a story of redemption: for a mother who was never let past the school’s gate, and her kids, who never knew she came. Children of God offers a thrilling blend of ancient traditions and contemporary realities, celebrating resilience and the power of the Indigenous cultural spirit.